I will admit to liking Kevin James. On t.v. King of Queens was a good show, and within it's confines James was genuinely funny and entertaining. But on the big screen, the actor is slowly doing away with any good will that show garnered for him. Especially with dreck like Paul Blart: Mall Cop 2. Picking up exactly where the mind bogglingly successful first installment left off six years ago, the movie wastes no with undoing the ending of the happy ending of original, reverting Blart back to the delusional mess he was at the start of the first movie. God forbid, we laugh at a well adjusted man fall over a lot. No, he has to be a collection of 'comedic' insecurities and problems. Anyway, with his daughter (Rani Rodriguez), who he controls to the point of suffocation, in tow, he travels to Las Vegas for a national Mall Cop convention, but soon stumbles upon a plot by Neal McDonagh's master thief (you're better than this Neal! You were in a Marvel Studio's film for god's sake!! !.........sorry, I just really like Neal McDonagh) to relieve the casino he just so happens to be staying in of some priceless art. Cue much falling down, a fight with an exotic bird, comedy slo-mo brawls, and, for good measure, some more falling down. There is nothing funny about Paul Blart: Mall Cop 2. There are the seeds of some good jokes to be found here, but they are lost in a production that doesn't utilise them at all, and any laughs that could have been found here are crushed as the movie just limps from one unfunny set piece to another, grabbing all of the fruits hanging from the cliche tree along the way. There is no energy to it. The movie just sort of sits there, checking the boxes it needs to move the story forward to get to the end credits. It's like the crew were as bored making it as I was watching it. The cast isn't any better. James just trips (literally at one point) his way through proceedings, spouting off uninspired lines devoid of any humour, and his choice to play up Blart as a possessive control freak doesn't make for a likable hero. 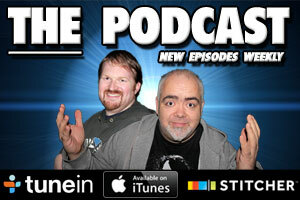 The support cast don't rate even mentioning (again, why Neal!?). They make no effort to be any way memorable, and you get the feeling a lot of them were only there to pick up a paycheck. 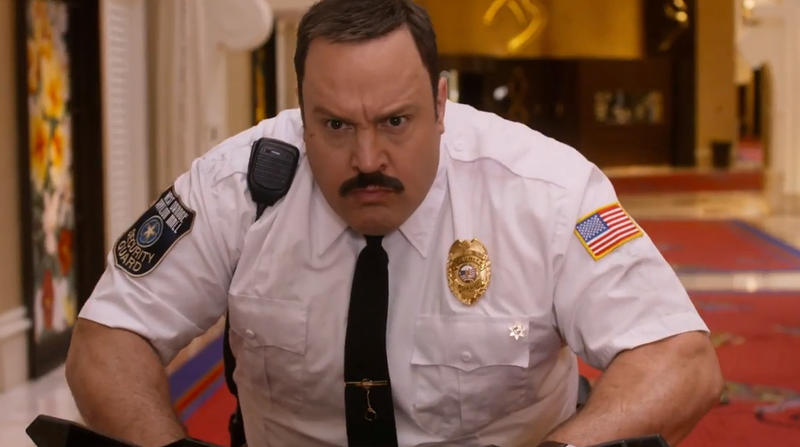 In a perfect world, Paul Blart: Mall Cop 2 would die a death in the box office. But, then again, in a perfect world, it wouldn't be made in the first place. Don't let there be a Paul Blart: Mall Cop 3. Please just avoid this insipid attempt at comedy.